Usability is one of the main factors that influence a customer’s buying decisions, satisfaction, and loyalty to a product and brand. It is not about “dumbing down the interface”, making it “fashionable”, or just “making a beautiful design”. Usability is a quality that has to be carefully built into the product itself. It is not expensive and pays very quickly for itself. 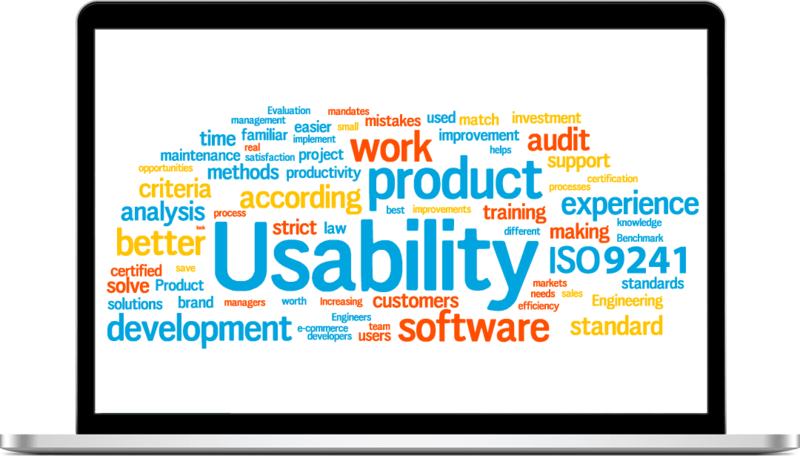 Companies that implement usability sell more products, report 10x – 100x return on their usability investment, lower development and maintenance costs by a factor of 60-150x, and increase employees’ productivity and job satisfaction. Half of the visitors abandon a website and don’t come back if it is difficult to find what they need. E-commerce sales lost due to bad usability were 3.8 billion USD. A mistake that costs 1 EUR during design, will cost 6 EUR in development and at least 60 EUR in maintenance. This is the “Factor 60”. This is what usability saves. A major e-commerce site lost 300 million USD of sales every year because their checkout process had bad usability. One Usability Audit is enough to start you saving costs, doing more sales, and delighting your customers. Call us. Germany’s law of employee protection mandates that all software used by employees must fulfill strict usability criteria, similar to the ones in ISO 9241. Avoid legal problems by improving the usability of your software. Designing your products according to usability criteria makes them friendlier, easier to use, easier to learn, and easier to love by your customers. Products look better, demo better, and sell better. Usability gives you better requirements, better work efficiency, and fewer customer problems. It saves you from expensive mistakes and saves development and maintenance costs, personnel costs, and technical support costs. You are as productive as your tools allow you to be. By optimizing the usability of the software you have, and by paying attention to usability of the software you want to buy, you increase productivity and shorten training time. Usability deals with recognizing and solving problems with a product. This means we can also recognize problems and market opportunities that your competitors have not yet addressed and help you take advantage of them. Usability opens the door to a global market which expects usability as a standard feature. Usability analyses reveal opportunities and pain points in new fields and markets, enabling a successful entry with little expense. Usability and User Experience improve the interaction with your product, bringing positive feelings towards your brand. They can also be used to optimize your branding strategy and make it coherent.